Nicobond has a system which will help you raise the roof in more ways than one. The long hot summer of 2018 has led to a greater demand for outdoor spaces to be renovated to create useable, attractive spaces. 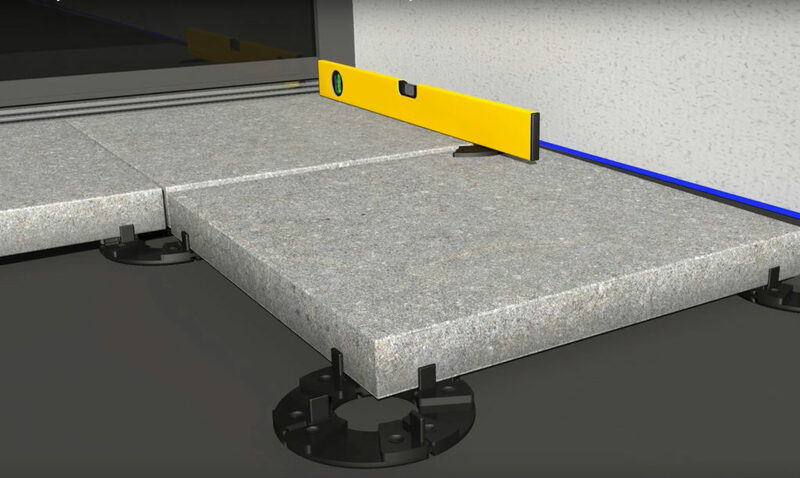 A raised pedestal system offers an innovative solution for a stable, high-quality and long term fixing of raised floors using 20mm porcelain tiles. 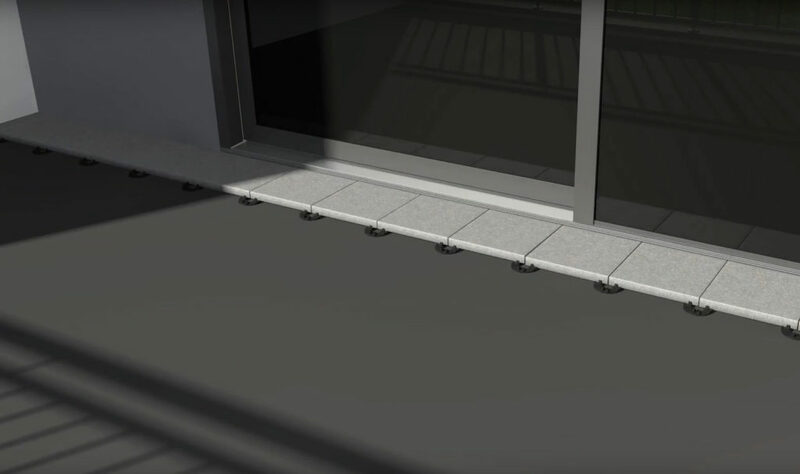 This is the ideal system for patios, balconies and other exterior living spaces in both domestic and commercial projects. It’s fast, easy to install and cost effective. 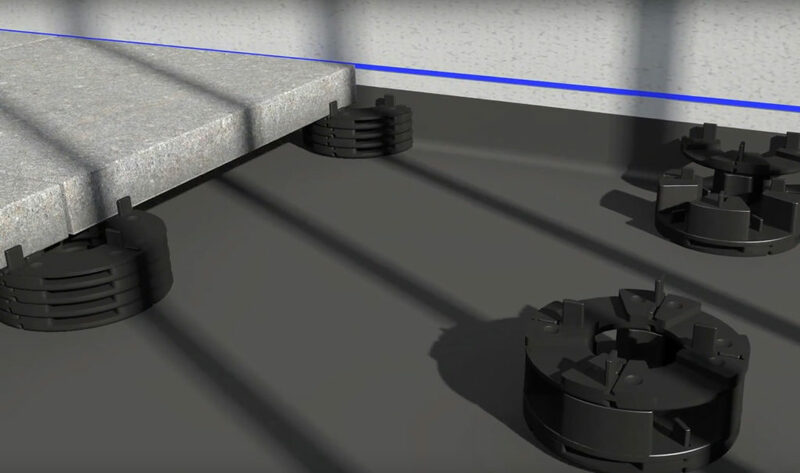 A system such as our own Terra Level Pedestal System consists of just six items which can be used to raise a 20mm porcelain tile floor from 1cm to 103cm above the existing surface. 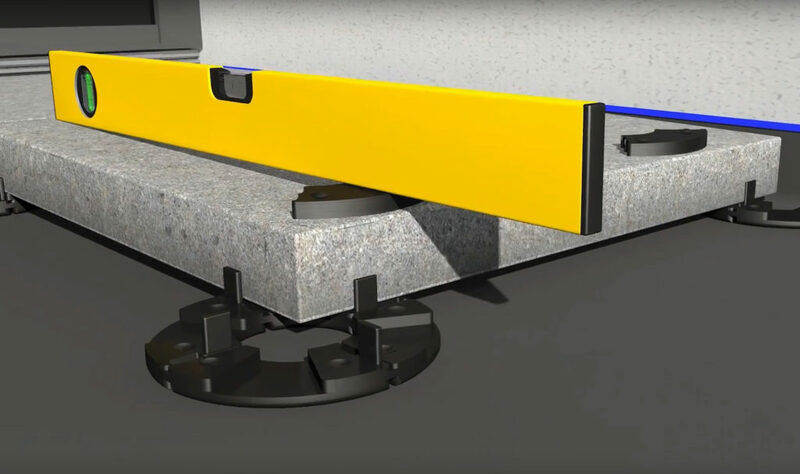 This makes the system highly versatile, meaning that builders/contractors can construct each pedestal on site to whichever height is required, making planning much easier compared with other systems. 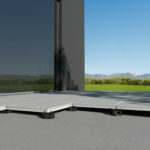 As long as the base is stable and load bearing, the Terra-Level system can be installed on top, quickly and cleanly. As the system does not use an adhesive, there is no need for mixing up, reducing labour time and materials. 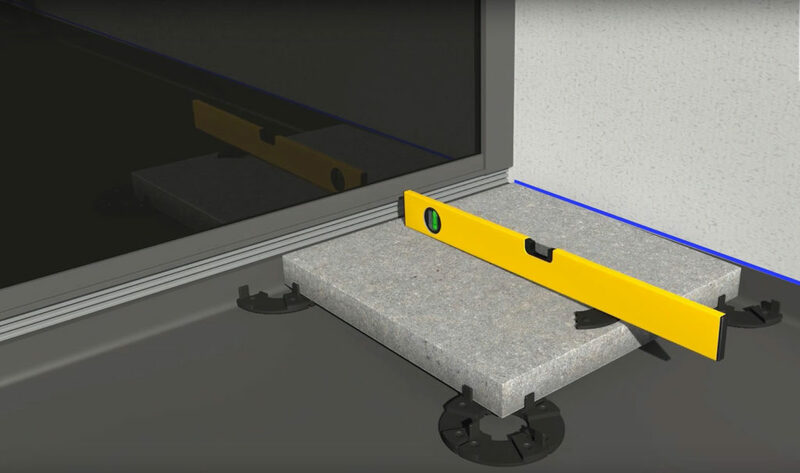 It also means that the system can be installed in all seasons and can be installed on top of concrete slabs that may still be curing and shrinking. There are also no fixings needed , meaning waterproof membranes or weed membranes can be used without the need to breach them, ensuring the control of vegetation and drainage below the finished surface. As the system elevates the floor, the area below can be used to safely run services such as electricity cables/ conduits and drainage pipes. 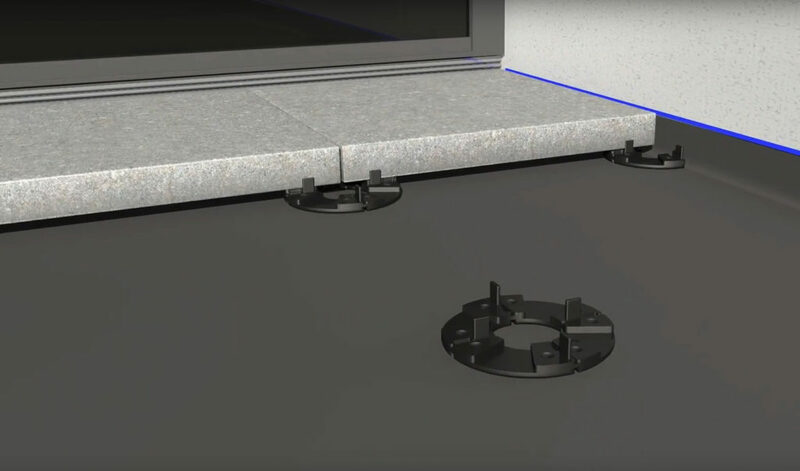 The raised floor allows for the contact flow of air, ensuring that the area dries out following rainfall, avoiding stagnant water collecting under the floor. 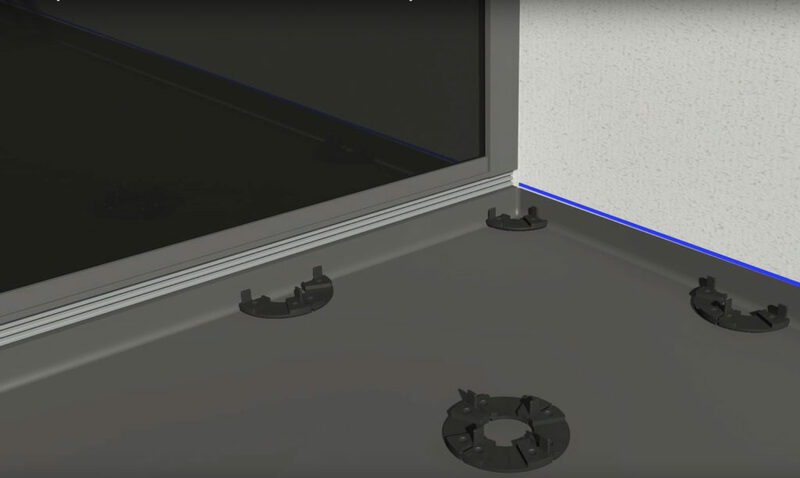 The system does not call for grouting compounds to be used between the tiles, saving cost and installation time but, more importantly, allowing water to drain from the floor, even if it does not have a fall. This means external areas can be raised to the same level as interior floors, without breaching building regulations with regard to drainage. If the substrate does “flex” or “expand/ contract”, the system “moves” with it, so no cracking tiles or grout joints. 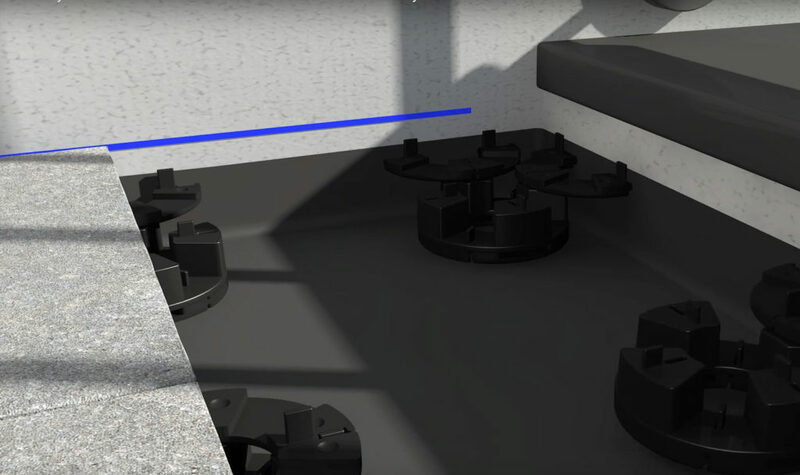 This type of Pedestal can be used to follow the fall of an existing floor or, if desired, a slope can be corrected. 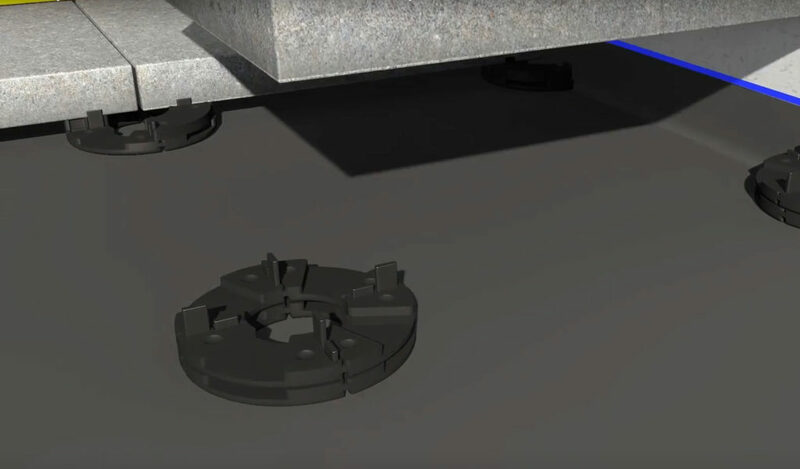 Because of the unique shim “packing” system, slopes of up to 10° can be compensated for. 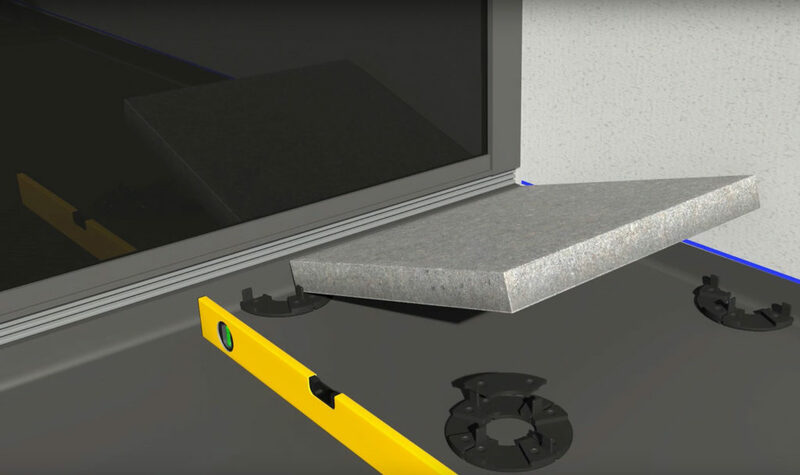 The unique 1mm packing shims can also be used to ensure that individual tiles can be securely fitted so “rocking” tiles are eliminated. 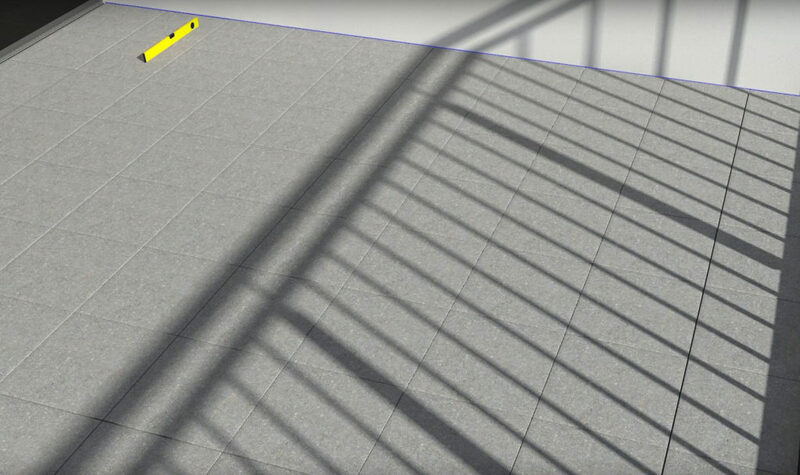 This is especially useful over the life of the external floor should some movement occur in the substrate and the floor needs to be corrected. This is made possible as the tiles can be removed with a slab lifter at any time and more packing introduced as required. The stability of the system is also superior to other systems that are “self-adjusting. Made of a high quality plastic composite that is strong but not brittle. It absorbs sound and will not rot and will not shatter. Once fitted your floor will be stable as long as the substrate below remains stable. Again, using the spirit level, work out how many TL3 shims will be needed for to make the tile level, then lift the tile and install on the relevant corner. Continue the row until complete. Continue completing the rows of tiles. If the height exceeds 4 stacked TL1 tile support a TL2 3cm stacker can be incorporated to help reduce cost. TL3 shims are still used for fine adjustment. Note: TL2 stackers must have a TL1 tile support on the bottom and at least one on the top.